We’ve been lucky enough to know the Enna family for a few years now. We first met when I started babysitting their kiddos and have since grown into friends. They even took us in for a few days when we had returned from vacation and our camper wasn’t ready to be picked up from the shop yet. I was so excited when Brenna reached out and asked if I would take some updated family photos of them for the holidays. Um, HECK YES I will! These guys are beautiful and such a breeze in front of the camera. It was a chilly session, but everyone smiled and snuggled and we had a great time! All that to announce – we are officially introducing family portrait and short film sessions to the Basecamp brand! I (Shanna) have been doing family sessions for awhile and instantly fell in love with them. The joy and fulfillment I feel when I walk away from photographing a young family made the decision easy. I believe so strongly in the little moments – piggyback rides in the backyard, dancing in the kitchen, cuddles on your favorite blanket, catching frogs & chasing fireflies, warm embraces and glee filled giggles. Our family sessions are based around these normal, everyday moments. Dirt under your toddler’s fingernails, the rolls of your baby’s thighs, wind blown hair, interlaced fingers, and stolen glances of pure love & joy. You can expect minimal direction, few poses, and most importantly, beautiful, real images to cherish for a lifetime. Basecamp is about so much more than wedding stories. We want this brand to encompass each and every way you #exploreyourstory. At it’s core, we’re still about love stories and always will be. BUT, the cool part is, is that love looks like a lot of things. It’s the love of your family. The love of your small business. It the heart and the tears that you put into what you’re passionate about every single day. That’s what Basecamp is about, and we want to expand beyond your wedding days to help you show the world where else your heart lies. We’re now booking family sessions starting in the new year and would LOVE to join your tribe for a fun afternoon at home baking cookies or chasing each other through the trees. Whatever your story looks like, let’s do that. 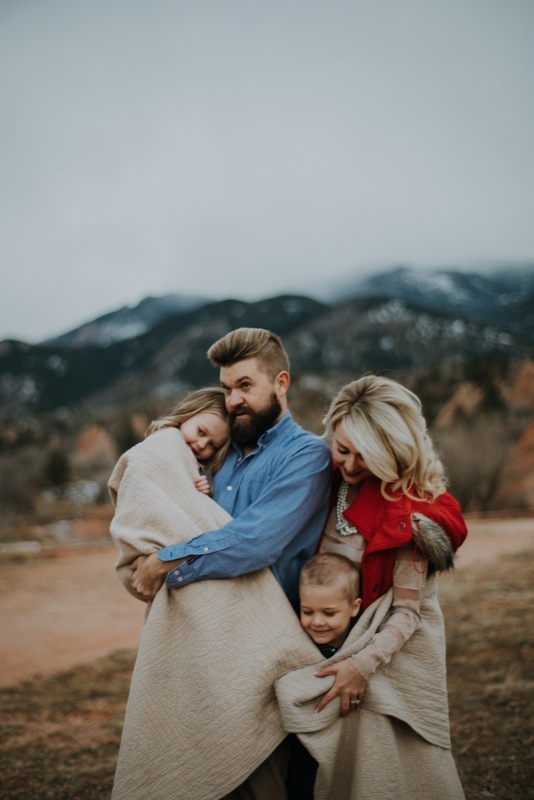 Crafting heirloom films + stills for the wild at heart, Basecamp Visual is a Colorado based videography and photography company run by husband and wife duo, Dave & Shanna McCann. Are you on the hunt for a creative storytelling team? We’d love to chat! Contact us today to learn more.